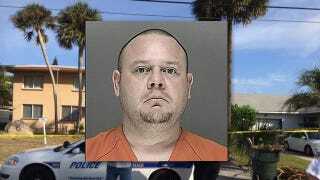 “Ma’am, just go inside and go to bed please,” the Daytona police officer, Brian Biddix*, told 38-year-old Milena Chiri, after questioning Chiri and her husband, Johan Chiri, about a domestic violence call. Johan was accusing his wife of having an affair. And even though this was the fourteenth time the police had been called to the house, the unidentified officer instructed the couple to go back into their apartment and sleep in separate, locked rooms. Later that night, Johan Chiri slit his wife’s throat and stabbed her to death while their two children slept nearby. According to footage recorded on the Biddix’s body cam, he had enough evidence to arrest Johan on disorderly conduct and domestic violence. The body cam also shows that Biddix interviewed neighbors about the Chiris’ previous arguments. Milena also told Biddix that her husband had been involuntarily institutionalized before and was currently not taking his medication. Biddix, who had just under a year on the force, initially placed Johan in handcuffs and stuck him in the back of the police car but ultimately decided let him go. Telling the couple to sleep in separate rooms after a domestic violence call is not protocol. Biddix claims, in his police report, that he went inside the apartment to investigate living conditions and check on the children. However, body cam footage shows that this never took place. Biddix resigned after news of Milena’s death. *The original news report chose to not name officer Brian Biddix, a commenter found a news report that did so we updated the article.